Hello! I've just started ant keeping this year and it's been going great, so far I have 3 Tetramorium caespitum test tube setups with around 10 ish works right now. 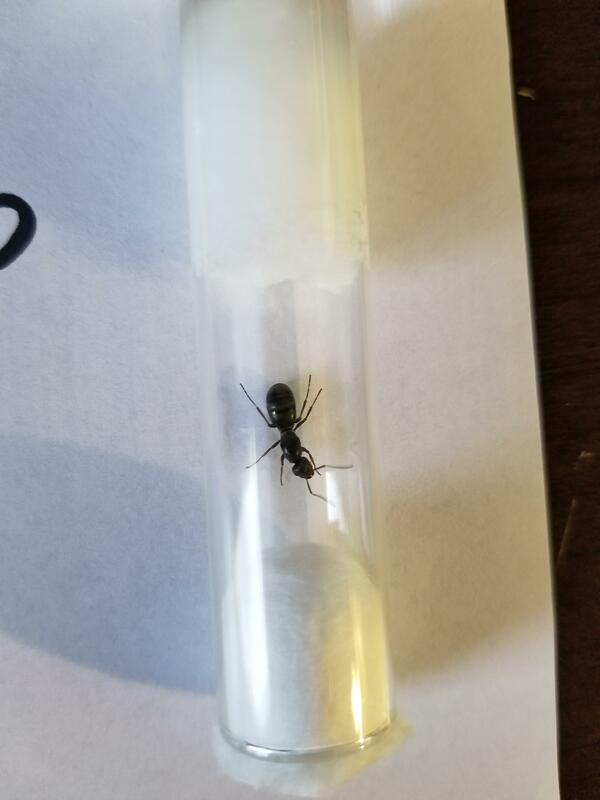 The one issue I have is I found another ant in early August I'm assuming is a queen she was found in the Colorado, Rocky Mountains near a lake with no wings. I've had her for around a month now in a test tube, she's always had a tendency to pull at the cotton and after around 3 weeks of having her with no eggs I decided to give her some honey which was quickly accepted, after another 3ish weeks there is still no eggs and I have given her a cricket leg that she seemed to enjoy. So number one question im wondering is if she is even a queen? 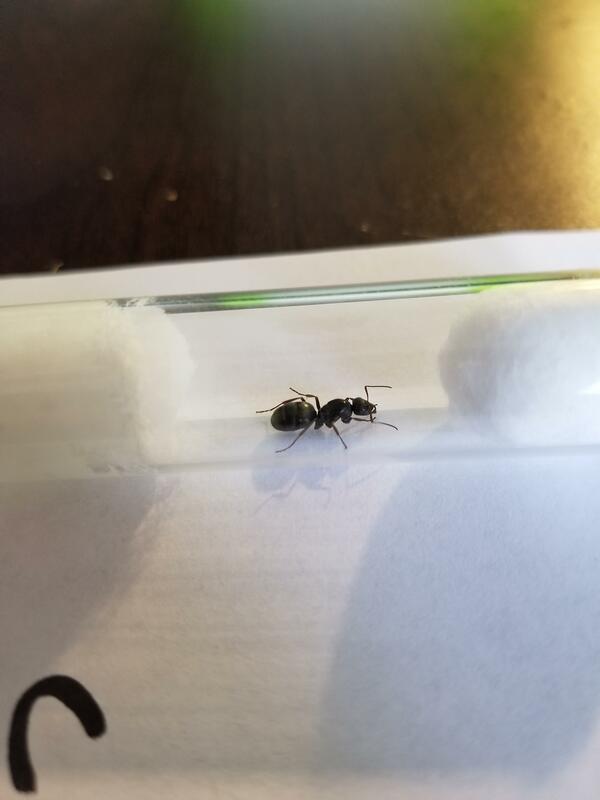 I didn't think workers could last a month on their own even with food/water, and if she is a queen do you think she will lay eggs next spring or she is just unfertilized and will die? 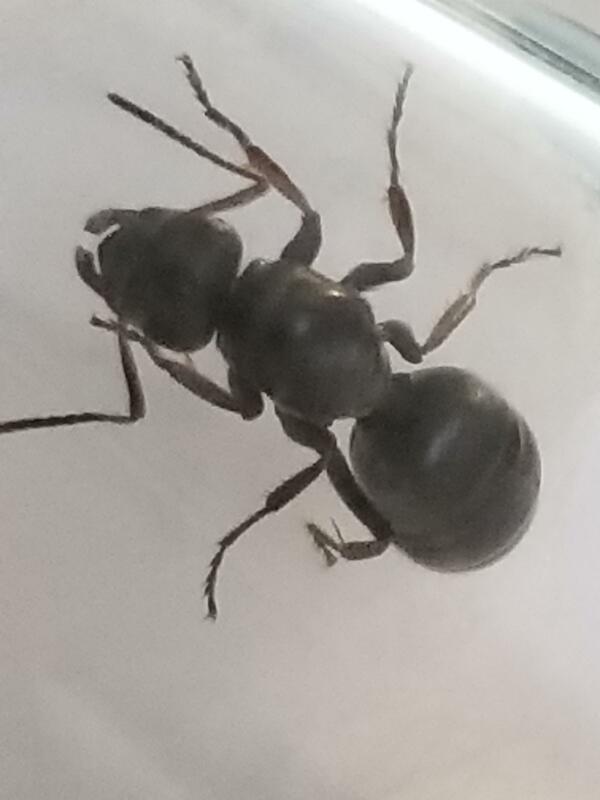 Next question is what kind of ant is she (I will provide pictures) my guess is a carpenter ant queen as she is fairly large at around a centimeter, and has some defining features that I could find. She is a Formica sp. from the fusca group, probably F. argentea or F. occulta, but I cannot tell from the pictures. Formica will not keep any brood over the winter, so she is probably waiting for the spring. 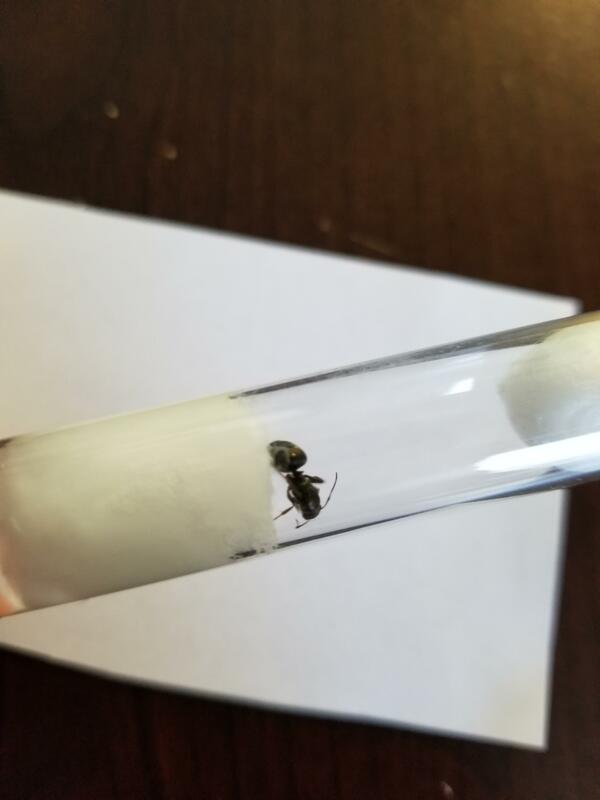 Unfertilized queens still lay eggs, but because the eggs are haploid (containing only half of the mother's DNA), they will all develop into worthless males. Hey just curious. 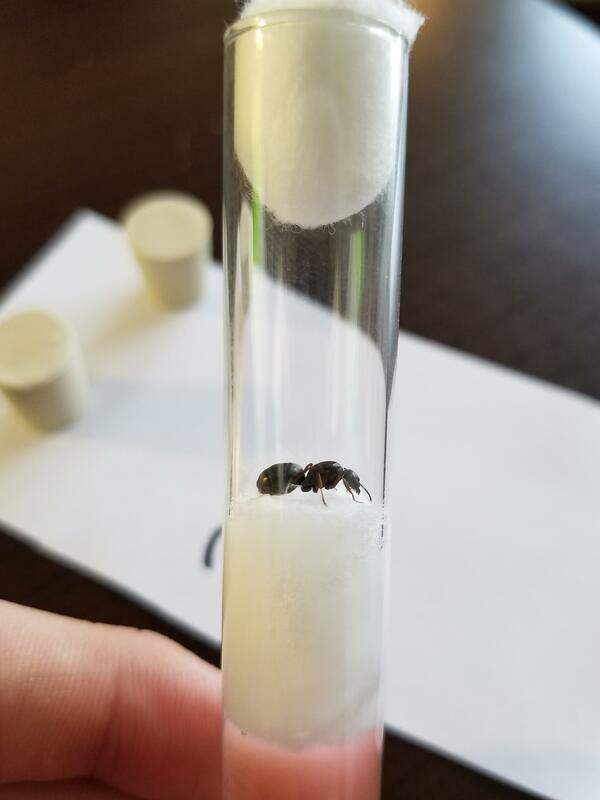 Did this queen ever lay eggs? So did she end up making it? Bump. Want to know as well.